The name “God of my strength” comes from a word that means a place of strength or protection, a place to flee to quickly. 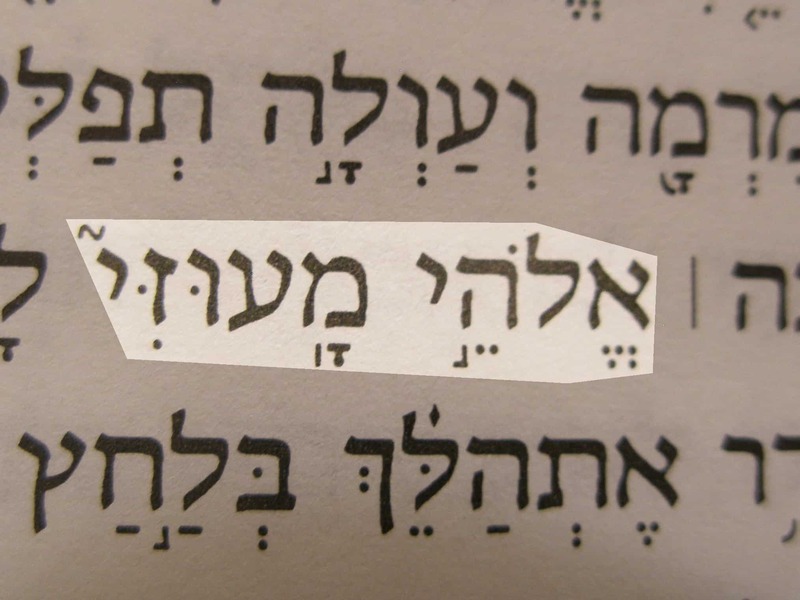 God of my strength or God my stronghold (Elohei ma’uzzi) in the Hebrew text of Ps. 43:2. In the same verse, the NIV calls Him God my stronghold. The Hebrew names of God that liken Him to places of strength and refuge can be confusing. Different English versions handle the same Hebrew words in different ways. Sometimes they translate the same word in different ways in other verses. Thus, in 2 Samuel 22:33, He is “my fortress,” but in Jeremiah 16:19, “my stronghold.” Other Hebrew words can be translated using the same English word. 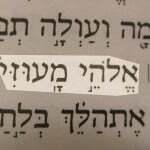 So, for instance, several times God is called My strength using different Hebrew words. Similar English names for God are: My strength and song, Rock of my strength. He is also the God who girds me with strength, a strong refuge and stronghold.